Chai – Recipe for great memories… this wouldn’t be a surprise if you are a Chai Lover. You already have tons of memories flashing in front of your eyes as I mention Chai, isn’t it? There’s one thing about Chai, that everyone has their Unique Chai Recipe, even if it just involves a handful of ingredients. My chai recipe is not the kind that pleases everyone. I take low sugar, low milk, and lots of water, lots of ginger and a very strong brew of the tea. If you are not used to my kind of chai recipe, you will wonder if I put even a little of my heart in making the tea. So I usually use a more milk and sugar-laden chai recipe for guests. Cooking with Chai recipe today is a Fictional Story, I hope you like it… and to ensure you do, take a break and get your warm cuppa while you read on. She entered that Home for the first time. Mom said she shouldn’t but well, does it really matter? Plus, was anyone ever going to tell that to her? At least she knows she won’t. It can be said that she was frightened or jittery, to say the least, but she was daring to do this too. The best part was that she was invited in there, so she could always use that as an excuse? NO?? She was soon to be in that new house anyway. Barely some 13 days remained for their wedding. Moreover, her Mother-in-law often took her shopping along with her. Every time she would pick her MIL from her home, shop and drop her back to her building. You know, typical rules that an unmarried girl won’t go to the home of their in-laws unless she’d been married? That was at least the case with her… and her typically arranged-marriage. It intrigued her what the insides of that house look like. Was it very well designed, unkept, or just a humble abode? But when her MIL invited her over, equally hesitant as her MIL, she gave in to the temptation. It seemed like a thrill to be getting in the home before you get married, just because it is forbidden. When she got in, she was told that she couldn’t enter other rooms because of the general prohibition… so that was that! She sat on the couch and was greeted with little big things that they had readily available at hand, in the spur of that moment. She volunteered to make chai – she was the ‘hone wali bahu’, it was her prerogative after all. Her MIL and she, had a long tiresome day out shopping for the wedding. But turns out that entering the home is still ok, but entering the KITCHEN?? That’s a blasphemy!! So she sat there, taking something of a pride in visiting the Living Room, waiting for some chai to come to her table. She didn’t know what to make out of the situation, a victory or just a false high about nothing. Bombarded with useless thoughts of what was, what is and what could be. She just sat there… still as a statue, with a tornado whirling inside her brain. To the table came another disaster. A cup of tea, tainted just slightly brown, overflowing from its brims. Her entire life she had been scolded to fill the cup up to two thirds only, so not a single drop spills. Her fathers’ words kept running through her mind. Right in front of her was a cup with stains of spilled tea all over. And that cup??? It seemed like the kind that was in use since 1947. Back in her home, she had at least 4-5 new sets of cups for guests.Shiny, pretty, pieces of porcelain art!! Or did they not consider her special enough to serve it to her in a new cup?? Wasn’t she supposed to be special, considering this being her first visit ever? With such thoughts coming into her mind, she picked up her cup of tea. Just as it looked, it tasted like a disaster too. Undercooked (yes, as per a fantastic chai recipe, it is to be cooked), not tanned enough, laden with sugar which made the litres of milk in it taste even more awful. Maybe they put in extra by mistake, who knew! Everyone else at home seemed to be enjoying the tea and she found it very hard to gulp it down. But she had to gulp it down and shoot a thank you and a compliment, pretty much as if she felt privileged to have had the opportunity to have it in the first place! She thought maybe if she did make it a few times, she’d get used to the chai recipe and would probably like drinking it too. Maybe she could add in some of her chai recipe hacks and present a more appealing Chai recipe to them. Then a thought struck her. Isn’t that what marriages are anyway? It may not always look, feel or appear as you like, but that’s a way of life, isn’t it? Life is not always as you plan it, and so is marriage. Especially, if it is an arranged marriage. A lot of unknown things crop up. A lot of hurdles are crossed in the journey of being strangers to be life long soul mates. We may dislike or think adversely about it in the mind, but we try to not let it show on our faces. We give others opportunities and benefits of doubt and most of the times come out with a compromise or better – an ADJUSTMENT. Afterall, mental peace is the first step to love, isn’t it?!! With these thoughts in Mind, she felt the tea change taste. It seemed gulp-able if not palatable really. And with these change in thoughts, she did feel better about the tea, about being seated in the living room and the entire perspective about ‘what I used to do back home’. She thought that if she ever put that story on social media, people will judge her in many ways, but what eventually mattered to her was to strike a balance in her own life. People in her life, in her family, are who mattered. And then she got a lot more irrelevant thoughts that took her mind off this philosophical thought spree. 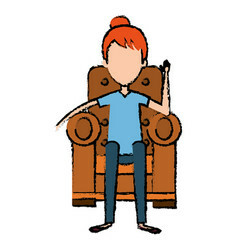 She bid bye-bye to her MIL and went back to her mom, somewhere happy about the living room, and proud of how well she could make a connection of everyday things in life! This blog is a part of the Chai-a-thon blog train organized by ‘The Momsteins’. I would like to thank my dearest friend Preetjyot from MyLittleMuffin for introducing me into this blog train. 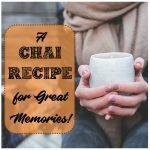 I would also recommend you to check out my fellow blogger, and friend Charu’s blog TheMomSagas and read about her wonderful ‘Chai memory’. Ha ha Prisha, is this really a piece of fiction??? Hahaha. Good one. I’m not going to ask if this is true or fiction. I’m just going to presume it is true. 🤣🤣🤣 is ur mil reading this??? It has got to be you! Hmmm! So, that was your “tea at first sight”….